It has been four months since the last RHS update, and we are still waiting for the update that fixes all issues introduced by the Tanks DLC a month ago. Now the last word is that all bugs are fixed, but they are still waiting for the new content to be finished; since they like to release the bug fixes with new content. But it means that we don't know the release date until they either announce the update or just randomly release it. So until that time, use this article to see what the RHS guys are working on, and get hyped for all the new content they are working on. *DISCLAIMER* Most of this is speculation and based on comments made, or pictures shared by the Devs. Seeing through vehicles when turned in, caused by the new vehicle interiors. Not being able to use certain seats on some American vehicles. Along with all the problems caused by the Tanks DLC, however, also come new features. Top-down attack mode for missiles is one of the features that the RHS developers are implementing for certain weapons. This means that in the future some of the RHS launchers will be more flexible in their usability. A comment has also been made that they are working on improving the TOW launcher, including the ability to use the top-down attack mode. 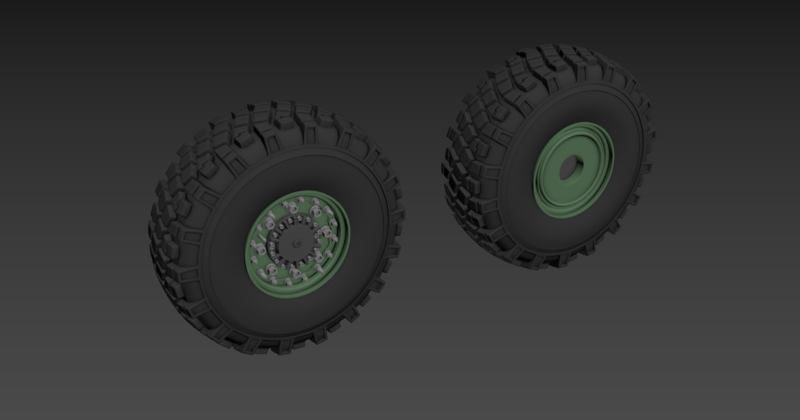 There are more changes coming, mainly in the use of the new armour values and the vehicles needing to be updated to it. But we will have to wait for the release to see it all. So we now enter the territory of stuff that is new and may or may not be part of the next update. A lot of new content is constantly teased, but not all of it may be released in the upcoming update. So what I will be discussing here is confirmed to be in the works but has not got a release date. The first tease we got was not long after the previous update, and it was all about the M24. The M24 is definitely not a new weapon; it has been part of RHS for a long time. However, the weapon is getting an update. The original model had three variations, the default with some sort of semi-arid camo, black camo and one with semi-arid ghillie additions. There were not many extra additions, it was just those. But it is now being upgraded with some interesting looking things. The most interesting update comes in the form of a suppressor. It is something that the current model does not have and will be an interesting addition that may make the weapon more appealing for Prophet. It is not as heavy as many other sniper rifles and may be more favourable for the Prophet team on foot. It is a similar weight to the M2010, but a bit less powerful. Now, this is based on current statistic, but that may all change since the weapon is being updated anyway. Along with the new suppressor, there are also new camouflages. The old semi-arid camo will probably be removed, and in place of that, there will be woodland and desert variations. BAnd besides the new camouflage, you can see an ammo pouch on the stock, which is probably only cosmetic as I don't know of any way they could make that functional. There is not much more new stuff I noticed about the weapon, but you can check out all screenshots in the album here. This next one on the list will spice up the RedFor launcher list a bit. I think it will fit in just above the RPG-26 in terms of regarding usability, but not by much. It will probably be right on par with the M136 on the BluFor side right now. With an effective range of 300m, compared to the RPG-26's 250m, it promises a bit more range. The sight is also a big improvement, being much more open and allowing for easier aiming. The RPG-75 is a single shot disposable rocket launcher, which means it will be considered LAT once released. It should offer about the same firepower as the RPG-26 is my prediction. Let us hope though that the weight is not a big downside. If you want to see it kill an MBT, check this test video. Oh, there is an album for this one as well. I didn't name it this, the maker PuFu did (probably won't be the real name). This is a tactical variant of the GREF VZ. Not much to say, other than that I am 99% sure it is part of the next update. Get ready to use all the attachments! The FN FAL is already part of our modset, as part of NIArms, but it is now also coming to RHS. There is no information on this other than a couple of screenshots you can see here. Seeing the state of it, I think it is at least another four months before the FN FAL will come to RHS. Seeing the release pattern of RHS, which would mean it will come in 0.4.7, hopefully. In the last few updates, there were a lot of RedFor vehicles being added; we didn't get much news on BluFor vehicles. That has flipped this time, only BluFor news this time! Not all of this will be in the next update for sure though. Some of the stuff has been teased, but there is no indication of those vehicles being completed any time soon. But let us start with one that I am certain will be in the upcoming update. I think we have all seen a Zeus use the "Attach to" module to attach a weapon to a vehicle, and some will probably have seen a TOW launcher attached to a vehicle. The only vehicle that up to this point did it without is the BAF Milan Land Rover, but that is a British vehicle and doesn't always fit in with other American assets. So now RHS is introducing a TOW HMMWV that will give you the ability to take out MBTs with ease, without needing a bigger asset. There isn't much more to be said about this one, it is 4+1 seater Humvee with a TOW instead of the common M2. I hope Zeuses will decide to use this so now and then, as it will provide very different missions compared to armoured assets. But now on to the next vehicle addition that will certainly be in the next update. This vehicle is not the only change related to the TOW system. They are also bringing a new top-down attack mode for the TOW! The Tanks DLC introduced a lot of new stuff including a top-down attack mode for ATGMs and certain rocket launchers, and the RHS developers are also bringing that to the TOW system. This comes along with a complete rework of how the TOW works, which will be interesting to see as there isn't a real comparison in vanilla arma to compare it to. Well, it is not so much a new vehicle; more a couple of changes that make it specific for the US Marine Corps. Most likely in the next update is a special O-GPK Transparent Armoured Gun Shield. This was specifically designed for the Marines so it could be folded down, probably for easier transport. It also switches the position of the glass to the upper part of the shield, rather than the bottom of the shield on the other MRAP variants. Besides the updated turret, the vehicle is getting USMC specific markings. This turret will be used on most, if not all, future USMC vehicles and maybe some current ones will get updated. I am not sure which vehicles currently in the game would use this in real life. Another new addition to be expected in the next update will be an excellent sight for the lovers of Artillery. RedFor has their BM21, and vanilla NATO has the M5 Sandstorm, but RHS BluFor had no rocket artillery vehicle yet. That is now changing with the introduction of the M142 High Mobility Rocket System, or HIMARS. At the base is the FMTV truck that is already a part of RHS, then on top of that is a single pod with six rockets. The rocket pod is the M993 Launcher, the same one used on the M270 System which has two pods. It will look familiar since the vanilla NATO M5 Sandstorm is based partially on the M270. This leads me to think that in use it will be the same as the M5 sandstorm, as it should be an almost identical system. Not sure if it will use the same rockets as the vanilla variant, but it will definitely use the artillery computer. Besides the six rockets, there is another possibility, however. The launcher can also take a single MGM-140 ATACMS missile, which is a big 610mm cluster rocket. That sounds very interesting, but it will be very overkill for anything to do with Arma, so it is unlikely. The stryker platform is very well known as it is used by the US Army in many recent wars. It comes in many different variants, from a very simple infantry carrier vehicle with an M2 CROWS system to a Mobile gun system like the Tanks DLC Rhino MGS, to a Mortar Carrier. We don't know yet which variants will be part of RHS, but the first "confirmed" variant is the ICV, which is the version with the M2 CROWS. 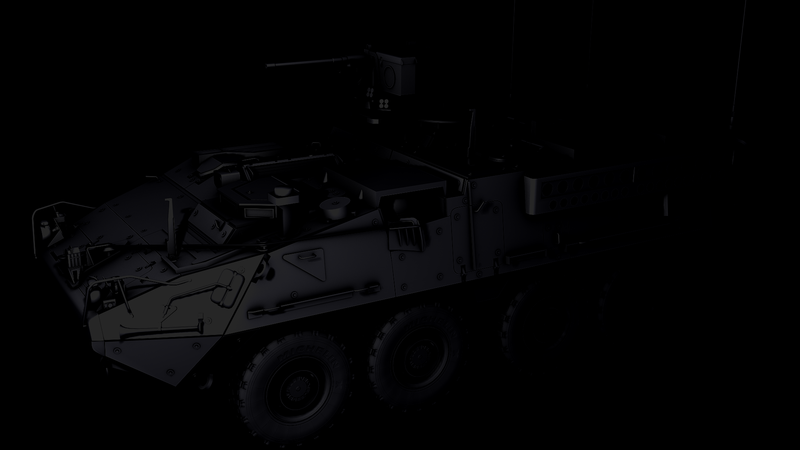 There are about ten variants of the Stryker, but I only expect the ICV and the MGS as the variants that will be in RHS. The only picture we have had so far is this frontal image of the ICV variant. As you can see it has an M2 mounted on top, no big gun like the Rhino MGS. But that wasn't the only obscure tease we got. An even more obscure one was this, which seem to be a set of wheels for the LAV-25. We used to have a LAV-25 when we used Arma3Sync, but it was not available on the steam workshop as the vehicle had been merged with CUP. But now we can expect a high detail version in RHS; I don't know when though. Both the Stryke and the LAV have not been shown in their full textured state, so it could be very far away still. This next one was first teased back in 2016 but was then shelved as the original developer left the team. This means that the tease was basically for nothing as the product never got finished. But on the 27th of May, they showed work had continued on the model and we can probably expect it in one of the future updates. They were still working on the basic version, the low and high poly models still had to be made, so it could still be quite a while before it is ready. But it is great to see they are dusting off some of the old stuff that had been put on ice. This is part of the original tease, but it will most likely change quite a bit by the time it is actually released. One thing has been announced already about this vehicle; this Cougar 4x4 will replace the 4x4 RG-33! They told us during the stream that this will replace the RG-33 completely as the RG-33 was never actually used and was seen more as a proof of concept vehicle made by BAE Systems. The RG-33L, known in-game as the M1232 will probably stay for a while, but we have not any confirmation for that. I hope this got you hyped for the next update that will come soon™, but we don't know how soon. The list of confirmed fixes grows each week, and we keep getting more and more teasers thrown our way. If you want to learn about stuff being added to RHS, it is always worth following their Twitch stream. They aren't shy to tell us some juicy details, and it is a great place to see how they make all the great content they provide. In the latest stream, they showed off work on the interior of the Cougar 4x4 that has been taken out of the icebox, but they also shared some details on what we can expect in the next update. Besides all the teasers they released, the M24, M142 HIMARS, TOW Humvee, RPG-75 and the couple other things, they also told us about some new stuff. They told us that everyone will be blown away by the size of the changelog for the next update. Not just the amount of fixes, but also the fact that all the teasers they showed were just the tip of the iceberg. To the point that one of the devs said he is blown away by all the new stuff being added. I can not say much though on all the new stuff being added, as they didn't tell us about much other than what the teasers have shown. They did say, however, that we can expect a new AN/PEQ-15 which should be interesting. But enough about that all, we will need to wait patiently for the update to be released to see all the new stuff they are bringing. Eh, shame that instead of the "tacticool" vz. 58 we don't get Bren V2. As I said in the final paragraph, this is not the complete list and is not 100% accurate. I do not have access to the dev builds, I based everything on my own opinions and the info they have given us. We can't influence what they will work on either, they have a roadmap/plan they work with and it is not public at this moment. So just because I showed these doesn't mean we can't expect anything else. This is all we know off right now, and they have said the actual list of items will be even bigger for this update. which seem to be a set of wheels for the LAV-25. I was hoping to see some mods with the newer HK 443 also. but would trade it in a second for a Bren V2. I am happy to see the tactical vz as it is the first ak style (i know its not an ak). Also since czech is blufor is it a blufor gun or is it an opfor gun or is it both. since it fill both categories by looking like an ak for op for but its from a blufor country? The models are really clean. I think it falls under the "no loopholes plox" category. Keep in mind that it was developed under Soviet regime, uses 7.62x39 mm ammo (but incompatible magazine with AK, in fact even internals are incompatible). And as an easter european I'm always happy for RedFor stuff. BRING ON ALLLLLL THE STRYKERS!!!! Want to join our ARMA sessions? Don't have Teamspeak yet? You can download it here.